The building sector plays a major role in order to meet the energy saving targets set in the EU and the Netherlands (SER, 2013; ürge-Vorsatz et al., 2007). Existing buildings are responsible for 36% of the CO2 emissions in the European Union (EU) (European Commission, 2008 and 2014). Moreover, among the end use sectors – industry, transport, households, services, fishing, agriculture, forestry and non-specified – households represent one of the most energy intensive sectors consuming 24.8% of the total final energy (European Commission, 2016a; EEA 2017). Two major directives are currently in force, on an EU level, to tackle the issue of energy efficiency improvement of buildings – the Energy Efficiency Directive (EED) and the Energy Performance Buildings Directive (EPBD) (European Parliament, 2010, 2012). Improving the efficiency of the building stock is a central pillar for the carbon reduction goals of the member states (MS) and the EU as a whole. Energy renovations in existing dwellings offer unique opportunities for reducing the energy consumption and greenhouse gas (GHG) emissions on a national scale in the Netherlands, but also on a European and global level. Due to the long lifespan of buildings, currently existing buildings will constitute a major part of the Dutch housing stock for several decades (Sandberg et al. 2016a). In the Netherlands, it is expected that the renovation activity will be greater than the construction and demolition activity in the future (Sandberg et al. 2016a). The rate at which energy renovations are realized and the energy performance level achieved after the renovations are crucial factors for an energy-efficient built environment. Energy renovation rates assumed by EU officials and policy makers usually range from 2.5-3% (Stadler et al. 2007; BPIE 2011; European Parliament 2012; Boermans et al. 2012; Dixon et al. 2014). However, at current rates it is claimed that more than 100 years will be needed to renovate the EU building stock (European Commission 2016). Furthermore, the intervention level – how many and what type energy efficiency measures – of the renovations plays an equally significant role to the rate as it can define when the next renovation cycle can occur and the possibility of lock-in effects. The main question addressed in this paper is what the estimated renovation rates for the Dutch housing stock are for different types of renovation, depending on the level of renovation and energy saving measures applied. Answering this question can help evaluate current and previous policies but also shape future ones. The need for renovations depends greatly on the buildings’ age and typology. The characteristics of the building stock are quite different across countries in Europe. In addition, building ownership and the construction sector are naturally fragmented. Research performed so far, has revealed that the majority of building renovations consist of small scale projects and relatively low investments or occur at the natural need of dwellings to be retrofitted (Filippidou et al. 2016; Sandberg et al. 2016; Filippidou et al. 2017). In order to assess and examine the energy renovation measures, how fast or how deep they are being realized, up-to-date monitoring of these activities is required. Moreover, time series monitoring is crucial in order to achieve longitudinal studies that properly report renovation rates. Approaches to monitor the building stock have evolved separately across countries in Europe. Information about the progress of energy performance renovations is necessary to track the progress of policy implementation and its effectiveness. Moreover, advanced quality information and data are needed to help develop roadmaps and future policies resulting in energy efficient buildings. To this day, each country is gathering and analysing data for the development of their building stocks individually and in a different manner. Some collect data through the Energy Performance Certificates (EPCs) databases and others perform housing surveys in representative samples (Filippidou et al. 2017). In some cases, information gained through the investments on energy renovations are used to calculate the progress. To address the data monitoring issues identified, there is a need for new methods on the estimation of renovation rates that can be used for consistent and scalable analyses of building stocks. 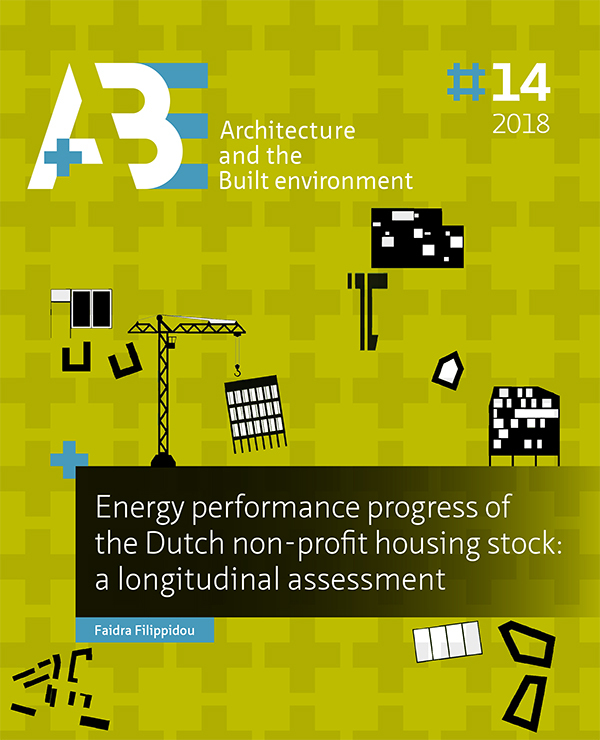 In this paper, we compare two different methods, long and short term, to simulate and assess the energy renovation rate of the Dutch non-profit housing stock. First we apply the dynamic dwelling stock model which has been developed and validated in NTNU, Norway (Sartori et al. 2016). The input parameters are based on statistical information for the development of the non-profit housing stock. Second, we use yearly records gathered centrally and stored in a time series database by housing associations through the energy labelling of their stocks, called SHAERE (Sociale Huursector Audit en Evaluatie van Resultaten Energiebesparing [English: Social Rented Sector Audit and Evaluation of Energy Saving Results]). Ultimately, we are comparing the renovation rates resulting from the dynamic modelling and the analysis of empirical building energy epidemiology data. As a result, we are able to suggest renovation rates for various types of renovation measures, which should be applied in studies of future development of energy demand in the dwelling stock. This paper is structured as follows. The remaining of section 6.1 sets the background and the second section presents an overview of the data and methods of our research. The third section introduces the results. The fourth section deals with our experiences concerning the dynamic building stock modelling and the longitudinal data analysis using big data. Finally, the fifth section elaborates on policy implications and draws conclusions. FILIPPIDOU, Faidra et al. Energy renovation rates in the Netherlands – comparing long and short term prediction methods. A+BE | Architecture and the Built Environment, [S.l. ], n. 14, p. 167-194, dec. 2018. ISSN 2214-7233. Available at: <https://journals.open.tudelft.nl/index.php/abe/article/view/3553>. Date accessed: 26 apr. 2019. doi: https://doi.org/10.7480/abe.2018.14.3553.